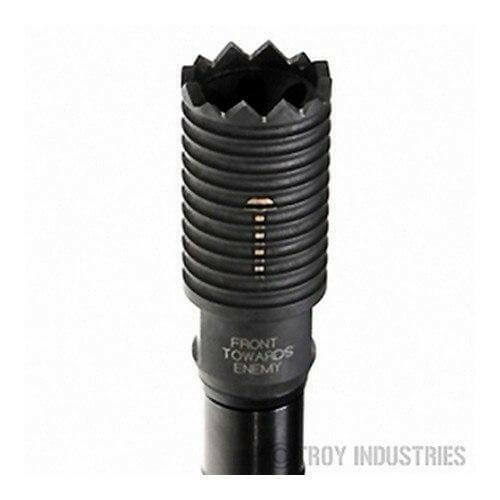 Directs muzzle blast and sound forward, away from the shooter, while retaining effective muzzle brake properties. Very low dust signature, without swirling effect. Works as an improvised breaching devise. Troy Claymore 7.6mm on a AAC300 blackout 10 1/2"
Still in the build mode I'm waiting on go no-go guages to check head space. When it's ready to fire I'll keep you up dated. So far fits great. It's going to be loud down range.